The story begins in Eisler Memorial Hospital in Dusseldorf, Germany during the 80s. Our main character is Dr. Kenzo Tenma, a Japanese highly accomplished brain surgeon. After a crisis of conscience that developed for his growing increasingly dissatisfied with the political bias of the hospital for treating patients, he chooses to save the life of a young instead of the city’s mayor that represents hospital’s political needs. For the consequences, not only he lose his position at the hospital and become the prime suspect of the mysterious homicide of hospital’s upper management but also resurrecting a future sociopaht from the verge if death. Johan Liebert, was the boy name. He and his twin sister, Anna Liebert, are a couple of orphan originated from Czech Republic. After 9 years as the story progresses, Tenma learns of the horrific origins of this monster, from the former East Germany’s attempt to use a secret orphanage called Kinderheim 511 (Where the twin come from) in order to create the “perfect soldiers” through “psychological reprogramming”, to the author of a children’s book which was used in a euginics experiment in Czech Republic. He also learns about the scope of the atrocities this “Monster” has committed, and he vows to fix the mistake he made when he saved Johan’s life 9 years ago. Beside the risk he must take to stop Johan’s goal, he must survive the obstacle from many sides with their different agendas. So, the race to the darkest spot of sociopath’s brain has begin. 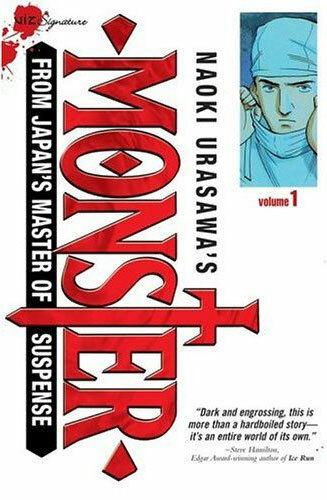 Monster was published by Shogakukan in Big Comic Original between 1994 and 2001. It is reprinted in 18 volumes, with one summary volumes/title called Another Monster. It is very interesting where either the hero or villain in this title are both civilian with each lack of perfection, but the suspense and thrill of the story could made flesh creep. Did you ever though a brain surgical doctor could follow the trail and confront a sociopath killer like a professional detective? Or did you ever think that a boy could established an extrimist army by just a smile? It is unrealistic event I know, but it’ll make sense once you’ve followed the story of Monster. The cynical world, dark environment, events of hope and despair, the connection between each characters, the character’s development as the story progresses, and historical background that touch the sense of reality could develop a story about suicide to evolve into melancholy drama of life. And all thanks to the creativity of a man behind all of that: Urasawa Naoki. Naoki Urasawa, born January 2, 1960 in Osaka, Japan is a Japanese mangaka artist. He graduated from Meisei University with a degree in economics. 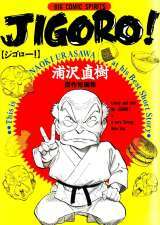 He made his professional manga debut with Return in 1981. Three of his series have been adapted into anime: Yawara! A Fashionable Judo Girl, Master Keaton, and Monster. He has received the Shogakukan Manga Award three times, the Tezuka Osamu Cultural Prize twice, and the Kodansha Manga Award once. As a storyteller, his most distinctive characteristics are his dense, multi-layered, interconnecting narratives, his mastery of suspense, clever homages to classic manga & anime and a frequent use of German characters and settings. 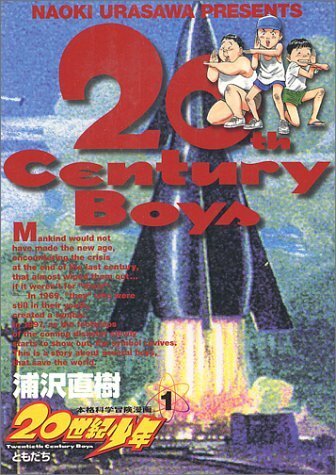 Others brilliant title he wrote are 20th Century Boys, Happy!, Jigoro!, NASA, Dancing Policeman, Pineapple ARMY, Beta! !, and his recent project PLUTO. All his writing which i’ve been read with almost enthusiastically (Master Keaton, Monster, 20th Century Boys, and the first volume of PLUTO) are engulf me with intellegent suspense and surprising storyline. All of his work are developed creatively and original, because I’ve never read story like his. World’s tyrant that created from childhood imagination? How it can be? 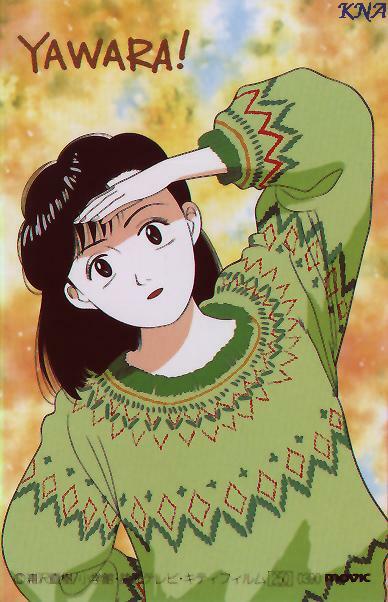 But it is possible for Urasawa Naoki. For reader that loves Osamu Tezuka’s Astro Boy, you must read PLUTO. Naoki’s extraordinary work on PLUTO is successfully delivered live and dramatic version of Osamu Tezuka’s legendary work. We can see his success by his double achievment on Tezuka Osamu Cultural Prize, for his work on Monster and PLUTO. Named after Osamu Tezuka, the Tezuka Osamu Cultural Prize is a yearly comic book prize awarded to manga artists or their works that follow the Osamu Tezuka manga approach founded and sponsored by Asahi Shimbun. The prize has been awarded since 1997, in Tokyo, Japan and since then only Urasawa Naoki that achieve this award twice until today. For everyone, Osamu Tezuka is known as “The Father of Manga” because of his prolific output, pioneering techniques, and innovative redefinitions of genres. People recognize the same talent for Urasawa Naoki, because his works are opening a new perspective on many aspects of life.